Our 10th grade history students recently took part in a trench warfare battle simulation on Godbout field. The exercise, called Power and Pride, was designed to simulate the mass slaughter that took place during World War I. The classes were divided into two alliances comprising teams of fictional countries that fought against each other. Each group was supplied with ammunition (water balloons, water guns, and wet sponges) that they used in a battle to take over the other countries on the field. One side attacked a fortified position that was held by the opposing team. While the attacking team had the advantage of more “soldiers,” the defending team was better protected. The intended outcome of this battle was a stalemate, where most students were “eliminated” during battle. The ultimate goal was for the students to gain a better understanding of the harsh reality that no one really “wins” in war. “The students have spent the last five weeks learning about the causes and consequences of WWI. This unit was organized to contain several experiential components, including the large group simulation. In the simulation, each of the seven World History II classes represented a country from a fictional region called ‘the North.’ The object of the simulation was to win ‘points for national pride,’ or PNP’s. These points could be won by creating national propaganda (posters with slogans from their country), building militaries, establishing effective alliances, and taking over various colonies. Each of these methods of winning points was designed to teach one of the ‘MAIN’ causes of the war: M = militarism, A = alliances, I = imperialism, and N = nationalism. The countries eventually battled each other in the ‘War Room’ of Redeemer Hall. The battles were conducted by rolling dice. The number of dice they rolled was determined by the size of their country’s military. These battles took place over the course of two weeks during milk break and flex block. One of the simulations we ran involved students crawling on their stomachs across ‘no man's land’ as if they were on a reconnaissance mission. 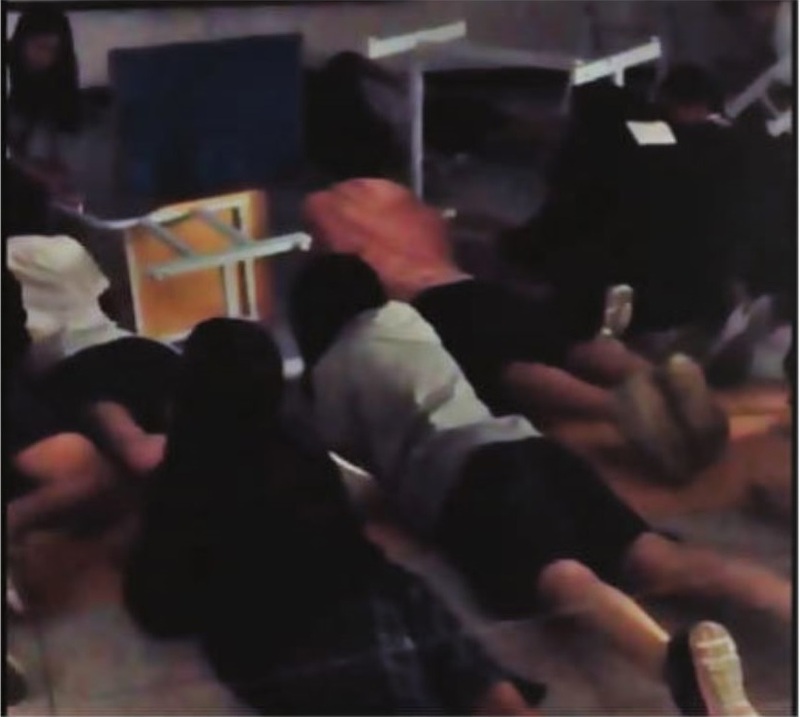 We converted one classroom into no man’s land by blacking out the windows, using dry ice to create fog, and knocking over chairs and tables to create obstacles. During the simulation, we played thunderously loud sound effects from a war scene. The students were guided through a visualization exercise that culminated in them opening a ‘special package.’ That package was a ziplock bag that contained half a baked potato that had been sprayed with a liquid that replicated the smell of death. Upon the teacher’s instructions, the students punctured the bag (and the potato) with their thumbs. The objective was to give them the sensation of actually grabbing the remains of a dead soldier who had been left in no man’s land. The wretched smell drove home the overwhelming sense of not being able to escape the horror of the situation.